As with any surgery, the single most important factor in the success of cosmetic plastic surgery is the surgeon you select. You should not take this responsibility lightly. As a patient with any doctor, you should feel comfortable discussing your desires and expectations. You also need to have the confidence that your surgeon’s answers are accurate and designed with your best interest at heart, even if it means that the recommendation is against the procedure in which you are interested. You should believe that your plastic surgeon would rather turn your business away rather than risk your health and well being on a cosmetic operation. There are a number of ways to evaluate which surgeon is best for you. Remember, cosmetic surgery is elective surgery – you do not have to have it done. Conduct your own research to verify the surgeon’s training and experience, then weigh your decision carefully. There are a number of ways to evaluate which surgeon is best for you. Check for certification by the American Board of Plastic Surgery. Don’t be confused by other official-sounding boards and certifications. The American Board of Plastic Surgery is the only board recognized by the American Board of Medical Specialties (ABMS) to certify surgeons in plastic surgery including cosmetic and reconstructive surgery. There is no separate, ABMS-recognized board for any type of cosmetic surgery. Remember – in most states, it is legal for any physician who holds a medical license, with or without surgical training, to practice cosmetic or plastic surgery. This is why understanding board certification is so important for the person seeking cosmetic surgery. Certification by the American Board of Plastic Surgery means that the surgeon has completed medical school, at least three years of training in an approved surgery residency and has completed an approved plastic surgery residency as well. In addition to this, the board certified plastic surgeon has passed thorough written and oral examinations given by the American Board of Plastic Surgery and has been in practice at least two years. If there is any confusion about your surgeon’s board certification, you may consult The Official ABMS Directory of Board Certified Medical Specialists available at most libraries. You may also call the American Society of Plastic and Reconstructive Surgery (ASPS) at 1-800-766-4955 to check on certification and member status. The ASPS represents over 97% of all board certified plastic surgeons. Be certain you fully understand the procedure: where it will be performed, the expected recovery time and the real risks of the procedure. 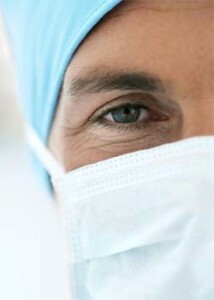 Although many procedures can be safely performed in an office setting, some procedures may be safer in an approved operating room. The overall risk of cosmetic surgery is very low and most people are very happy with their results. Above all, have confidence in your plastic surgeon and your relationship with him. Do not hesitate to ask questions. Above all, have confidence in your plastic surgeon and your relationship with him. Have questions? Send your questions on cosmetic and plastic surgery to us at our Patterson Street address, or give us a call at 615-327-0201. Board-certified plastic surgeon Dr. Alexander Nein of Nashville shares tips for want to look for in a qualified plastic surgeon to perform your procedure.